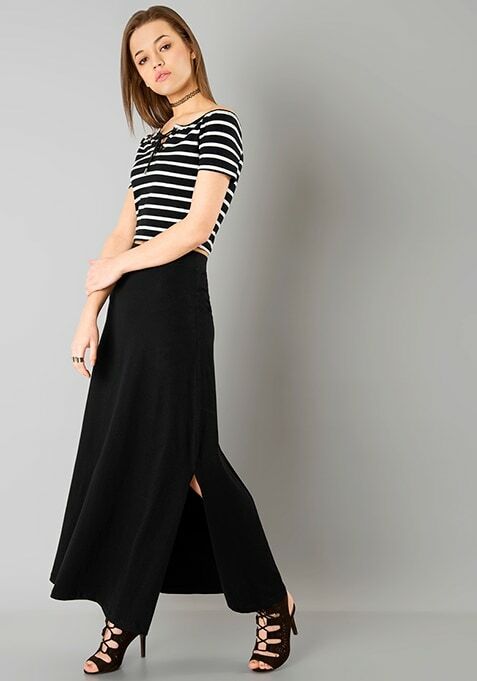 This black maxi skirt with a single slit along the side is the new fashion-forward way to go about showing off some skin. Features slit on the left side and A line flare. Work It- Style it with striped crop top and black choker to look rad.